In the studio…It is still winter here and I am longing for colorful spring flowers and warmer days! 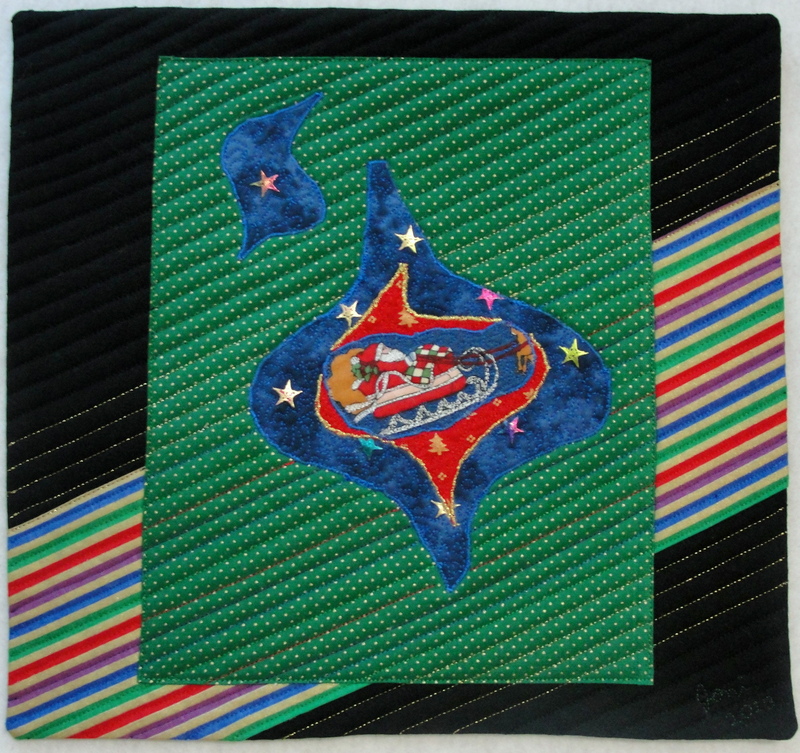 …Inspired by an ornament, its shape was cut from several printed fabrics and layered. Thread-painting was used to accent the details. 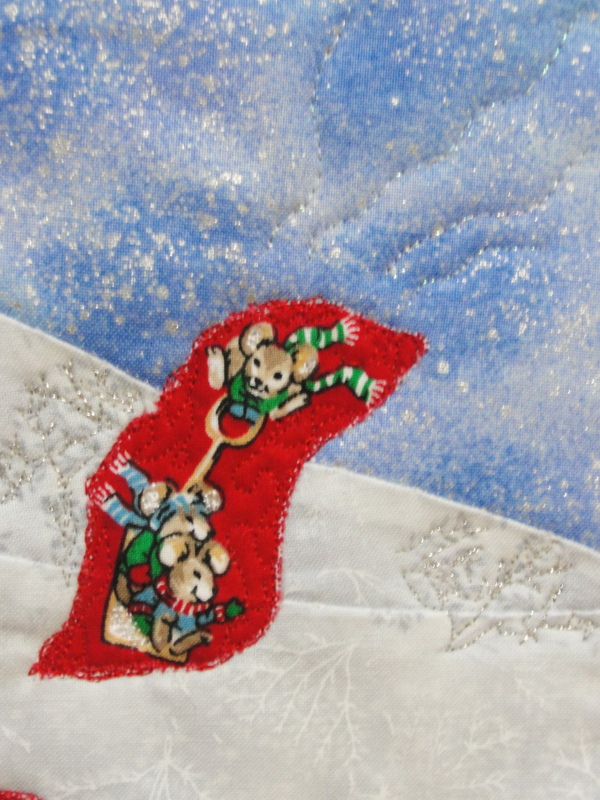 Free-motion quilting was done to add dimension and movement, helping Santa soar upwards through the sky! The same ornament shape was used in this piece. Using a faced-appilque technique the shapes were stacked to form a 3-D effect. A wren on the fabric print is the focus. It is accented by thread and beads. 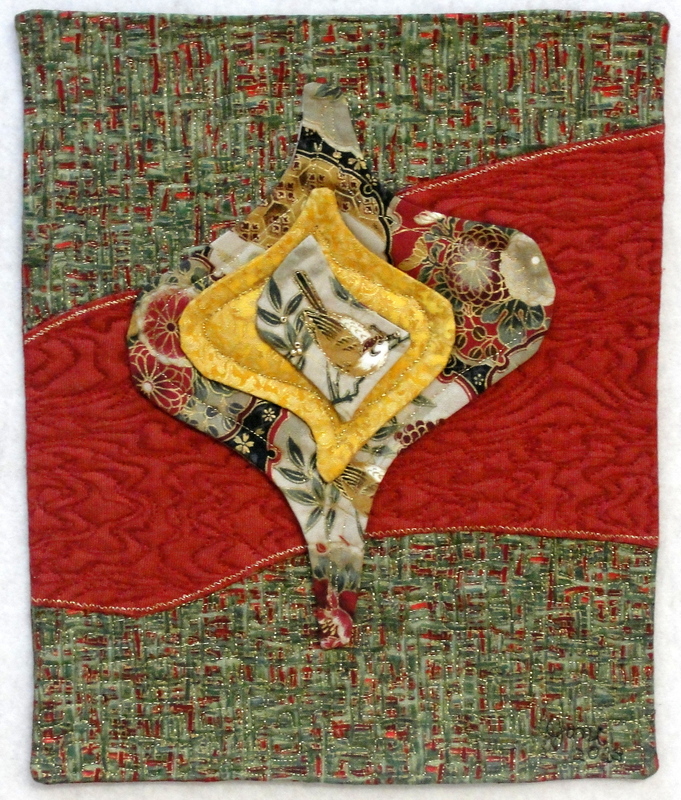 Dense-stitch quilting was used on the background to add more depth and texture. The third piece, **Swishing Down the Hill…On a Winter Day! Wheeee***, is a work-in-progress! Guess I better finish it quickly…before the snow melts! winter wren is very nice!